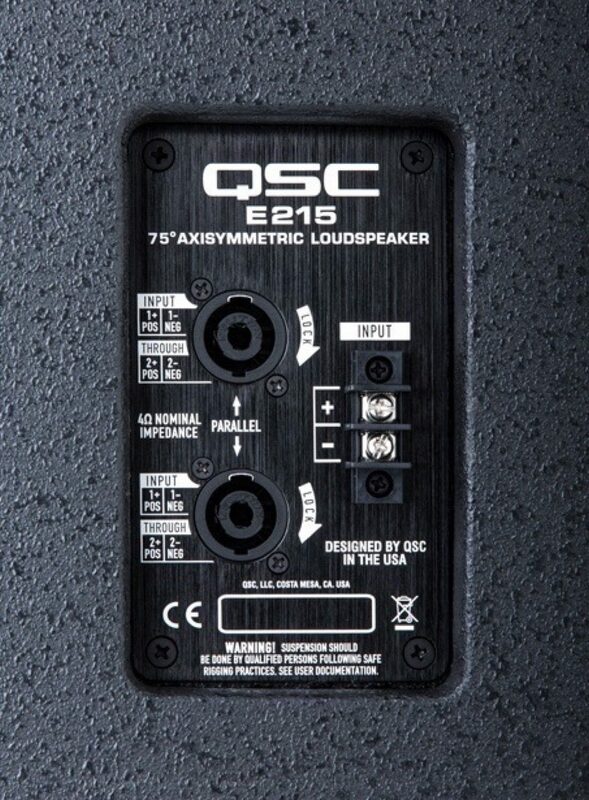 The QSC E215 is a trapezoidal, two-way loudspeaker featuring dual 15-inch 500 W (continuous) die-cast aluminum frame woofers with 3.5-inch voice coil. 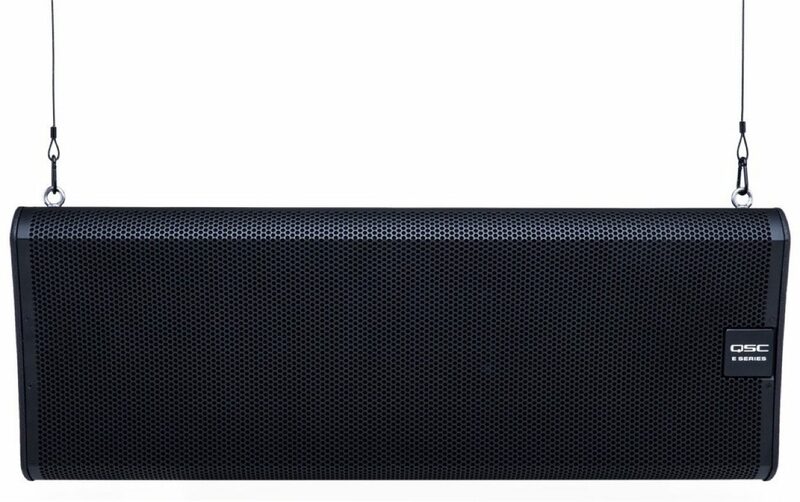 It employs a Frequency-shading topology across both woofers to maximize low frequency output, while minimizing interference through the HF crossover transition. It is intended for use when high-power and extended low-end are needed from a single full-range loudspeaker. A large format 2.8" compression driver attached to the 75* DMTTM waveguide assures that even distant listeners will be well covered. 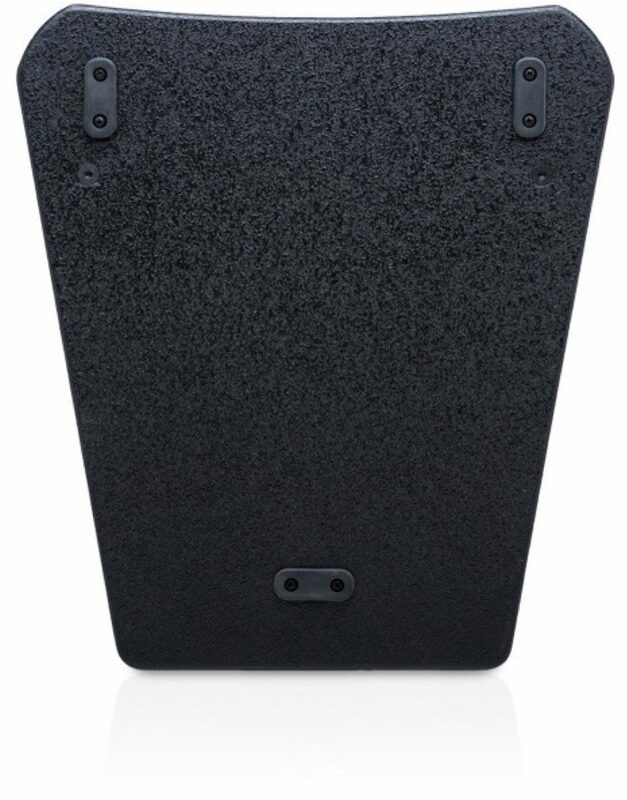 Enclosure: Trapezoidal, plywood, black texture paint finish. Two side mounted handles. Perforated, powder-coated steel grille with foam lining.